A completely unique CBD brand, Foria Wellness is committed to vibrant health and all-natural wellbeing. They strive to make their wellness formulas combine botanicals with traditional herbs to craft a natural enhancement product that’s thoughtfully designed for both men and women. The team at Foria wanted to learn everything they could about cannabis, a plant we’ve had a 5,000-year relationship with that was only interrupted within the last few decades due to harsh cannabis prohibition. There is a line of THC products called Foria Pleasure, but Foria Wellness also strives to focus on a woman’s health as much as her enjoyment. Formulated with broad-spectrum CBD oil as well as other plant-based oils that are considered aphrodisiacs, these CBD-rich products are designed to enhance relaxation and get the mood just right. We wanted to test these interesting products out for ourselves to see if the raving reviews are as true as they sound. Intrigued to know what these wellness products might add to our daily routine or our sensual experiences, let’s dive into our Foria Wellness review to find out how each product is, the pros and cons of the brand, as well as what makes the company as unique as it is. If you're looking for a Foria Wellness coupon you can find it on the right. If you're looking for Foria Wellness reviews scroll to the bottom of this page. What's Unique About Foria Wellness? 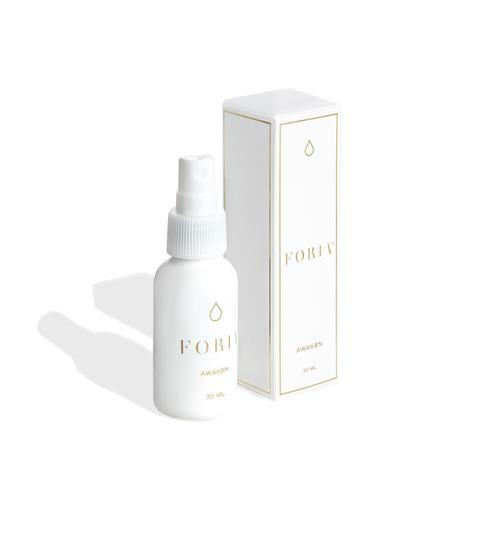 Foria Wellness claims that their Awaken arousal oil is the world’s “first” massage oil that’s made with broad-spectrum CBD oils. A combination of 9 plant-based aphrodisiacs and nothing else, the lube is completely edible and (surprisingly) tasty. The rich chocolate and mint aroma carry over into the flavor of the product. A sensual CBD item, there are 30 to 50 servings in each bottle – so you can know for certain if the oil is right for you by the time you’ve finished it. A multi-purpose oil, it was formulated for women to decrease dryness, discomfort, and tension while enhancing pleasure and tactile sensations. There’s not a lot we can add to this product that hasn’t already been said in countless other testimonials – all we know is that it certainly works as it’s labeled. We have a special Foria coupon code that saves you 15% if you decide to purchase. For an area that needs the most relief but rarely gets a spotlight, Foria Wellness designed suppositories specifically for relief during a woman’s menstrual cycle. The vaginal suppositories can provide tension-melting, soothing relief through inflammation relief and muscular relaxation. Each suppository contains 100 milligrams of CBD to deliver a rush of broad-spectrum hemp to an area that needs it fast and immediately. Topical treatments are often helpful with targeted areas of pain – this suppository simply happens to target a different area of pain. 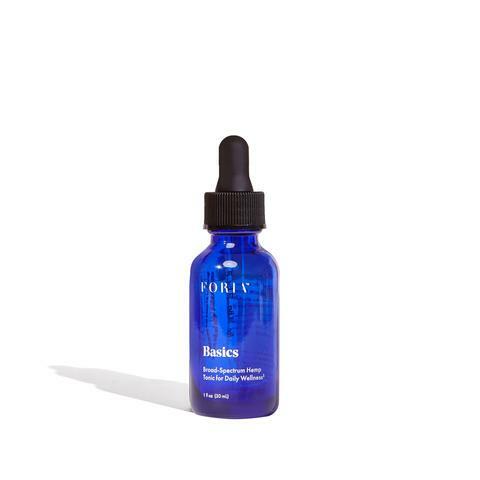 The oral CBD supplement through Foria Wellness is a tonic; a broad-spectrum tincture that’s as powerful as it is effective. Described as a “broad-spectrum hemp tonic for daily wellness,” the bottle provided over 60 servings of active CBD. Overall, it contains 1,000 milligrams of USA sun-grown broad-spectrum CBD. Foria boasts of their GMP-certified best practices as an achievement for their brand, and the supplement is purity tested to ensure every batch is just as potent. Made will only all-natural ingredients, including MCT coconut oil, you can tell this provides an accelerated return of effects the more consistently you use it. Basically, you can feel the medicinal effects on the first day, but it’s nothing in comparison to a full week of taking it, and that’s nothing compared to a full month of taking it. Be sure to use one of our Foria Wellness coupon codes to save up to 15% on this CBD oil. Disclaimer: The following reviews are made by consumers. Foria Wellness has not reviewed and therefore doesn't endorse, support, or approve the reviews or recommendations left by consumers. These statements have not been evaluated by the FDA. Foria Wellness products are not intended to diagnose, treat, cure, or prevent any disease.